The year began with active and joyful activities. 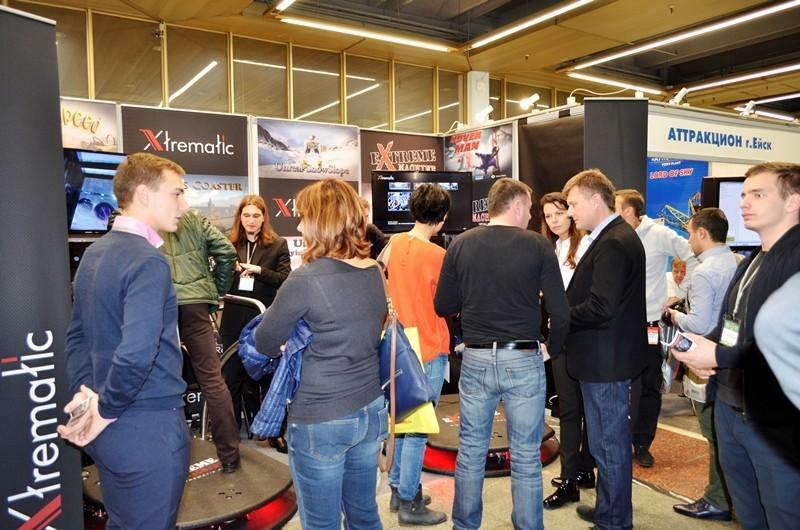 In early March, Xtrematic surprized the visitors of RAAPA 2017 in Moscow. Every year the number of inspired people after virtual entertainment on our attraction grows. We are proud that after the expo Raapa our attractions will land in different parts of the globe to continue winning the hearts of visitors. It is interesting to observe the reaction of those, who tested our extreme attraction: enthousiastic screams near the booth place did not stop, smiling faces, even girls clinging to the rail, bravely riding even several times! 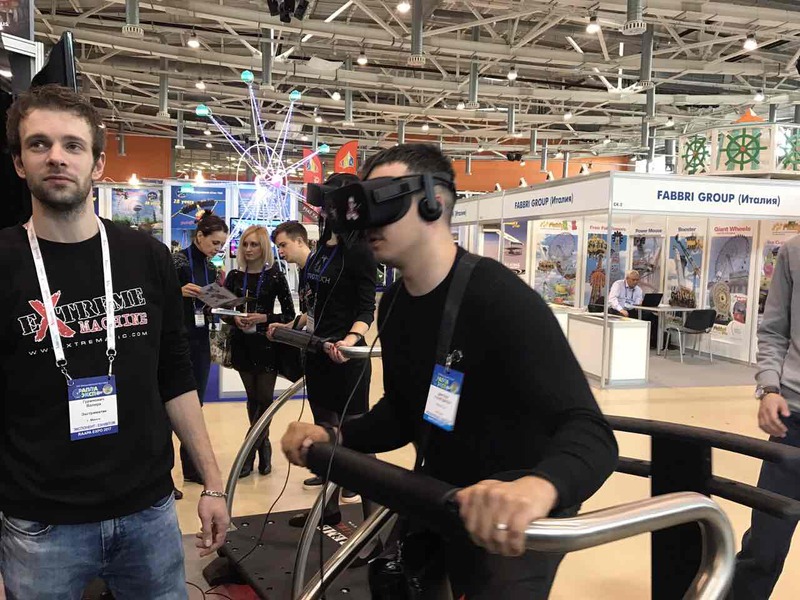 The men were so keen on playing in virtual reality, that they did not even noticed, that the game was over, and they continued to shake the railing, trying to provoke a reaction from the attraction =) There was a sea of ​​smiles and a storm of emotions. It was very joyful to hear: “Cool, let’s try again. And what games have you got?” And we had something to surprise them-2 new VR games “Crazy Pipe” and “Sand Wars” have been brought! There has been a lot of fun and emotions! And we had something really special to surprize them: two new rides “Crazy Pipe” and “Sand Wars”.